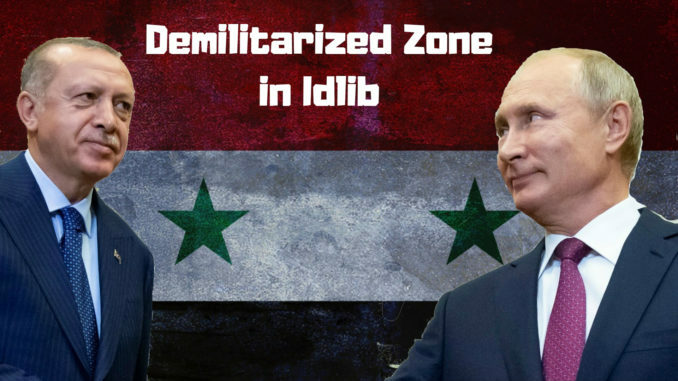 Who doesn’t want to take revenge from the criminals of Idlib? Who doesn’t want to take revenge from the perpetrators of Jisr Al-Shughour massacre which led to the killing of over 100 Syrian Army soldiers in June 2011? This is a normal feeling of any human being who lost his beloved ones, and because of them suffered from psychological, neurological and physical pain. But revenge and recklessness usually lead to dire consequences. If the existing regime had resorted to recklessness and emotional reactions as some had demanded in the early months of the war, the fate of the Syrian pyramid would have been like the fate of Saddam Hussein and Gaddafi. But the military and political leadership in Syria is playing chess, and whoever wants to win this game has to have a long patience. Because half wrong step and your destiny is checkmate. In Idlib, the Syrian Arab Army mobilized its forces and besieged the city from all sides. The prevailing belief was that we could impose the battle on the so-called international community, such as the battles of Eastern Ghouta and Daraa, but what happened was the US and its Western allies raised the level of threats, and here we are not talking about mere rhetoric, but rather a NATO readiness to strike strategic Syrian positions and cause great damage to the system that manages the security and military affairs of the country. Russia does not want this confrontation and that’s the right thing to do.. and the West will not give up its project. 1- Erdogan abandons his parallel terrorist army, meaning the most radical groups in Idlib and the taking over heavy weapons from all armed groups until 9 December in a 20KM demilitarized zone. 2- Contain NATO threat and ensure that Turkey remains close to Russia and whether we like or not, this equation serves indirectly the Syrian interests. Ankara in the arms of Washington brought us ISIS and Al-Nusra Front. Ankara, close to Moscow, resulted in the agreement of de-escalation zones, which later led to the liberation of vast areas from terrorists’ hands. 3- Solving the issue of Idlib gradually starts with pulling the heavy weapon and the separation Al-Nusra Front from smaller terror groups, which will make the latter like a dog who lost his teeth. They will bark loud without causing serious damage. On the other hand, this agreement maintains the influence of Turkey in an area whose people echo Erdogan more than “God”. As for the Israeli air strikes yesterday, there is not much to talk about it. The bombing has nothing to do with Idlib agreement, it is a separate issue. In my opinion, Israel is trying to deter Syria from developing its own weapon programmes, that’s why the Israeli occupation forces keep bombing research centres and arm cargos. Furthermore, Israel is preparing itself for a war with Hezbollah and it is testing the Syrian defensive abilities. It is true that officially Syria doesn’t have S300 system but we have learned from recent history that when the Syrian army uses a type of a weapon to repel Israeli attacks, that means Damascus has a more advanced weaponry which would only be used if an all-out- war erupts with Israel. For example, if Syria is using Pantsir S1 against Israeli fighter jets, then the question is: what is the more advanced weapon that Syria is hiding for the right time?